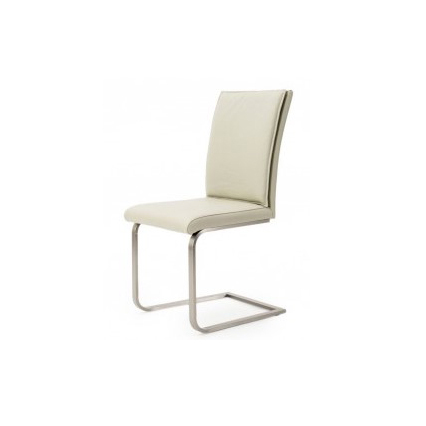 The Amelia is an extremely comfortable dining chair! The back has extra padding and it’s brushed steel C-shape frame allows you to rock slightly. This unique option is perfect for a dining room or kitchen area. 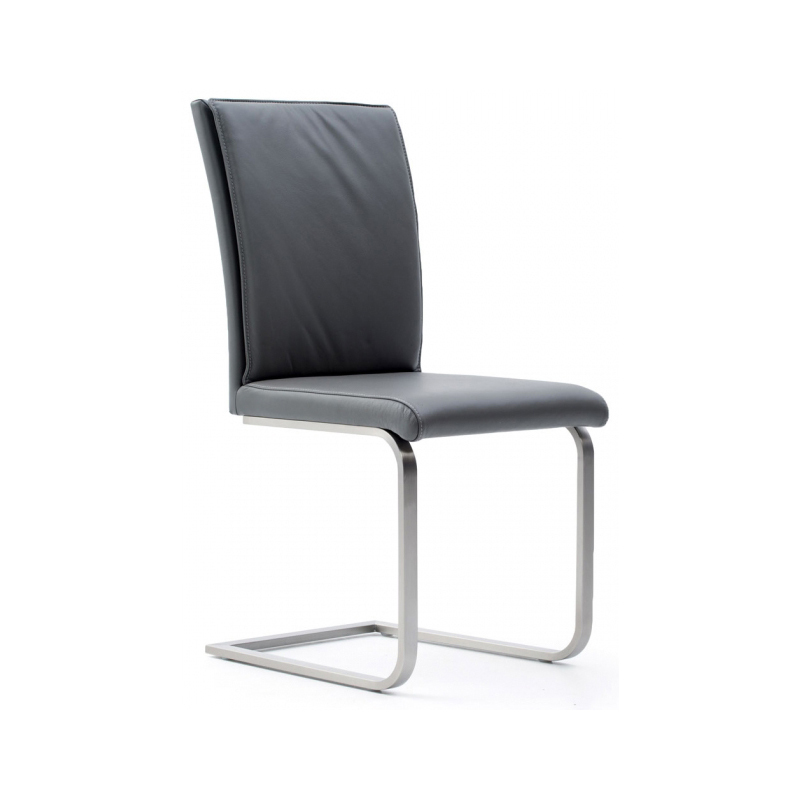 It is upholstered in genuine leather and is available in three colours: Grey, Brown and Light Mocha.